Here's some interesting items to come out of Japan. I got a good laugh at this since I run a vitamin distribution business and I'm a gamer. Cybergadget just came out with vitamins for the gaming community shaped like memory cards called Game Sapuri. From the image you can see two different supplements. 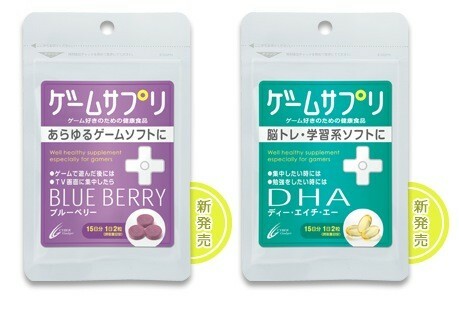 One is a blueberry supplement which is the highest source of antioxidants and a ton of other benefits while the second one is DHA, which is omega 3 fish oils which are great for brain function and blood flow in which we gamers do need a bunch. Info thanks to dannychoo.com and cybergadget.